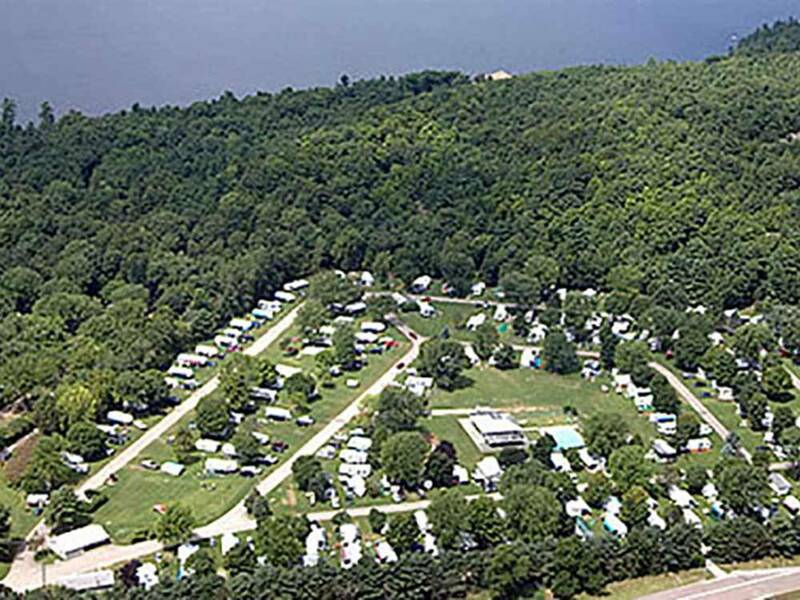 Lone Pine Campsites wish to make your stay with us as enjoyable as possible. Our friendly staff is here to serve you any way we can. 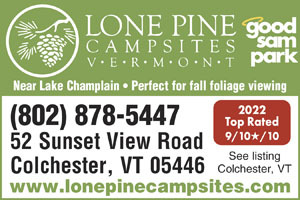 We want to put a smile in everything you do during your stay with us at Lone Pine Campsites. This campground is a good distance north of Colchester but an easy drive into town. The campground sites are easily accessible. We had good access to the wifi. We were there late in the season, the campground was very quiet and had really nice campsites. There was not a lot of trees with most of the sites being open space. We would certainly stay at the campground if ever back in the area. The info in the Trailer Life Campground guide is wrong. Their WiFi is a hotspot that you have to pay a vendor for. The guide needs to differentiate between an at site WiFi and a WIFI Hotspot. The guide also says the back-in sites are 66' long. That is wrong. We finally got a spot that was long enough for us to not unhook, but the office help wasn't helpful at all. It looks like a decent campgrounds, but we had a very negative experience. Staff was VERY helpful and accommodating while we waited for a UPS delivery beyond normal check-out time. The park's roads and landscaping are well maintained. Large grassy sites with mature shade trees. There is moderate highway noise from I-89, and their free WIFI crawled, but we would certainly stay again.